Jeffrey Givens — As a long time pain sufferer, Jeffrey was determined to find a solution to end his suffering. As a result of his discoveries, he has dedicated his life to educating and helping others achieve pain relief. Today, he travels the US as a Pain Management Consultant and Keynote Speaker to share his secrets to instant pain relief. He works closely with retirement and assisted living communities such as Epoch and Holiday, along with many other senior and aging centers. His goal is to optimize Head Over Heals’ grassroots efforts to enhance public awareness regarding chronic pain, while dispelling some of the false and misleading information about pain relief. Jeffrey graduated from the University of San Diego (USD) with a Bachelor’s degree in Business Administration and continued his education at USD’s graduate program in Supply Chain Management. He also received his Certified Nonprofit Professional certification from USD and is trained in nonprofit leadership & management. 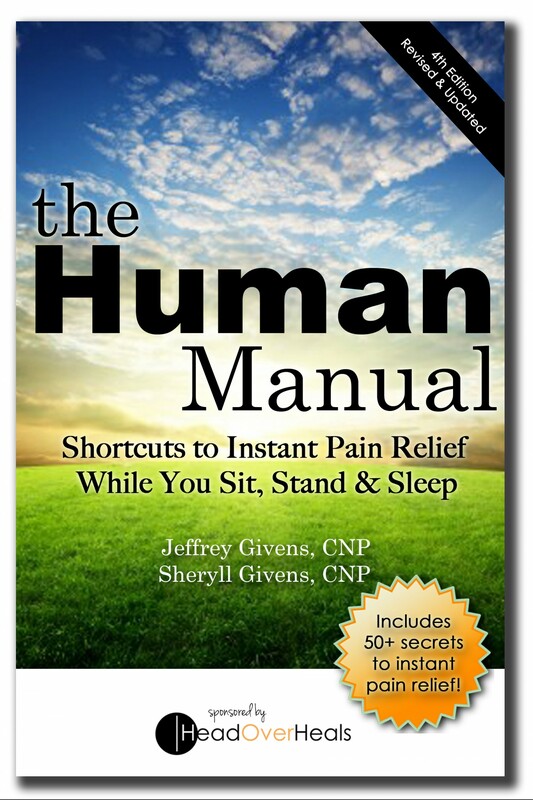 Sheryll Givens — As co-author of The Human Manual, but most importantly, as the wife of a chronic pain sufferer, Sheryll understands and empathizes with pain sufferers and their families. Working side-by-side with Jeffrey, she has made it her personal goal to share what they’ve learned through local pain clinics and presentations, online blogging and creating a visible presence that will help educate pain sufferers and their families. A professional graphic artist with a background in writing, public relations and marketing, Sheryll specializes in community building. Today, she manages her own graphic design and marketing company while traveling with her husband throughout the US to share their secrets to instant pain relief. Sheryll graduated from the University of San Diego with a Bachelor’s degree in Political Science. She also received her Certified Nonprofit Professional certification from USD and is trained in nonprofit leadership & management.